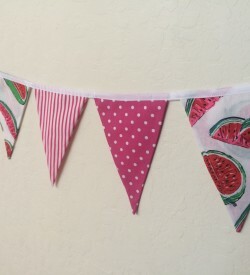 Pennant Banners are a fun and festive finishing touch for a party, a child’s room or any kind of celebration. 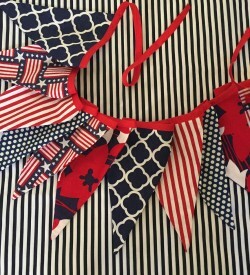 They also look amazing as photo props and are the perfect decoration in any space. This banner is double sided. 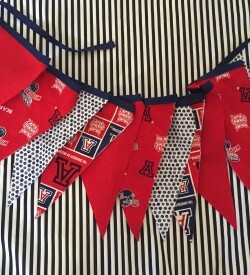 The pennants on the banner have stitched seamless edges with bias tape sewn along the top. 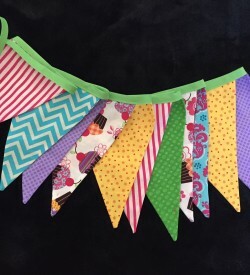 This banner has 5 pennants and measures around 5 feet long with ties to use for hanging purposes. 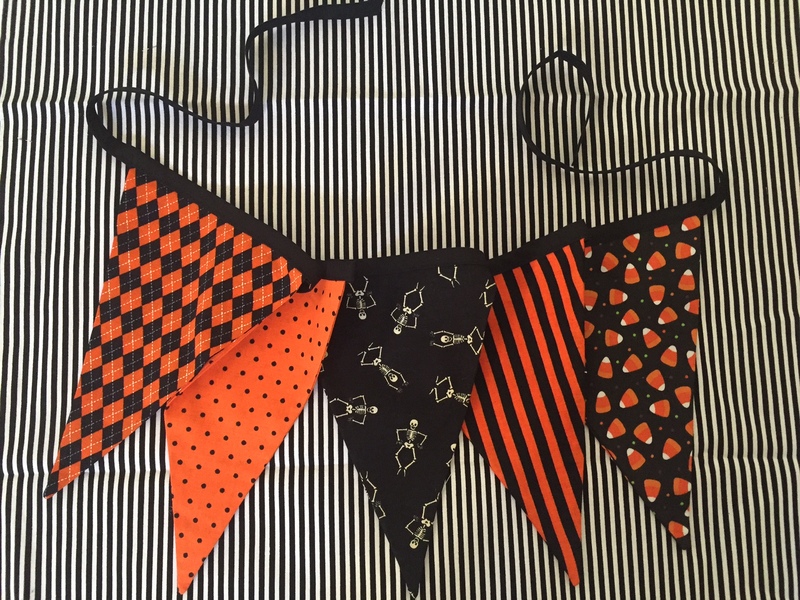 Each fabric pennant measures 6 in x 8 in.